Have you ever paused your life to step out of the hustle and bustle to pray or meditate or just rest? 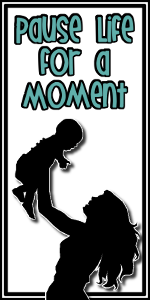 This is the question posed by Jdaniel4's mom, in her series, "Pause Life For a Moment." I get to answer that today, as the guest post on her site. I hope you'll join me as I tell how a split second decision on my part, changed the morning for my 16 year old son. I appreciate your support, and encouragement, of my writing. I hope you'll click over, and meet Jdaniel4 's mom, and think of your own "Pause Life for a Moment." I'm headed over. You know in the blogger hall of fame, you get "Most Popular." Everybody loves the Empress and wants her at their place. For good reason. Going to check it out now. You're such a good writer - I'm excited to read it. This is very much on my mind these days, the whole pause-and-be-still-and-be-present thing. Can't wait to read your Pause for Life moment! Alexandra, I'm so glad I found your blog today. I just read your post and it was a wonderful reminder to me of all the treasures in my mommy life. Can't wait to read more of your blog. I have a lot of respect for JDaniel's mother and her lovely blog. I will be heading there to read your post for sure. Promise. I will be back, though. It seems my girl only needs me for short bursts of time these days. The Empress has spoken, so I will head on over...what's fifteen more minutes of me procrastinating the start of dinner?! Sometimes its hard to pause and really listen to what your kids have to say. Thanks for the reminder. Popping over to read it now! Thank you all for coming over to Jdaniel's, it was such a light bulb moment for me. Heh, who knew, I'm my own Oprah.